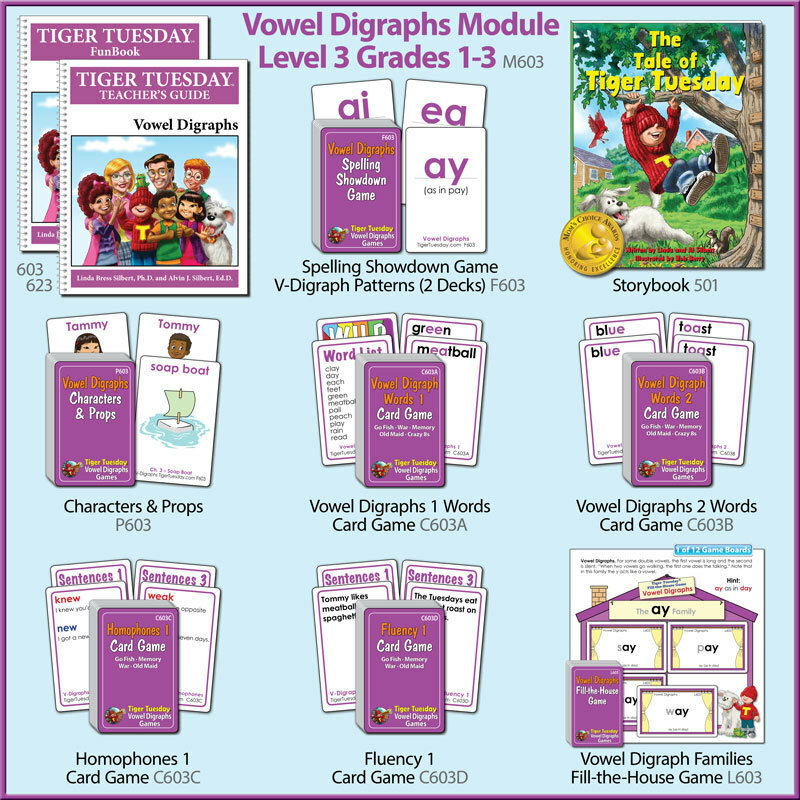 Introduces Vowel Digraphs and reinforces skill in decoding and fluently reading words and syllables with Vowel Digraphs. A vowel digraph is made up of two successive vowels, the first vowel is long and the second is silent. (Sometimes y and w act like vowels.) Many know this as “When two vowels go walking, the first one does the talking.”Examples of words with Vowel Digraphs include: AI (rain), AY (day), EA (seat), EE (green), IE (pie), OA (boat), OE (toe) and UE (blue).